recently restocked and of course neither of them have any Romulans on the shelves. If any members here can help me out, I would be very greatful. depending on if my local Targets have it in stock. Thank again for any help. Check Target.com frequently. 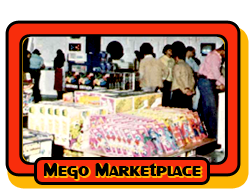 The less common Megos appear periodically, but not for long. I've hit 2 screaming werewolves most recently. Shipping is often free. I check daily, sometimes several times when I am on the hunt. Easy to use on your phone too! Got it thanks, PM replied.